Erico Pentair GY Copper bonded mold connector features steel rod construction. It accommodates concentric conductor of size 4/0-AWG. 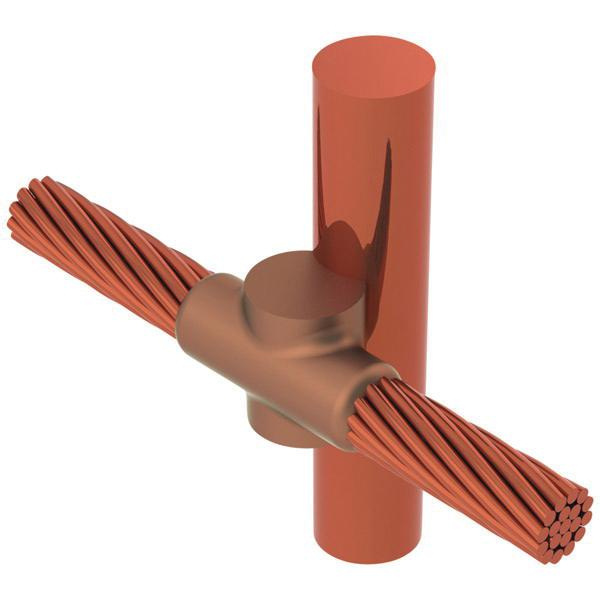 Cable to ground rod mold connector forms a permanent, low resistance connection and provides a molecular bond. It is ideal for thousands of connection styles and conductor combinations. Connector with 150 welding powder size, supports portable installation without external power source. It accepts 3/4-Inch Dia ground rod and 0.528-Inch OD conductor. Mold connector is cULus listed.